Join us on Tuesday, November 26th, from 11 am to 1 pm, for a light luncheon and presentation by Roosevelt Boone of Strong Mind - Strong Body, Inc. Roosevelt will provide a slide show, highlighting the mission of Strong Mind - Strong Body, Inc. and its work within the Central Maine area. "The first and foremost goal of this non-profit organization is to make a difference in as many people’s lives as possible, by striving to improve the quality of life for both youth and displaced adults through the delivery of a wellness and nutrition program, as well as life skills coaching clinics led by degreed subject matter experts (SME). Strong Mind-Strong Body, Inc. exists to foster physical, mental, and spiritual wellness through the delivery of summer youth camps for ages 10-17 in an effort to improve the quality of life for families, neighborhoods and communities resulting in a stronger, more physically fit society!" 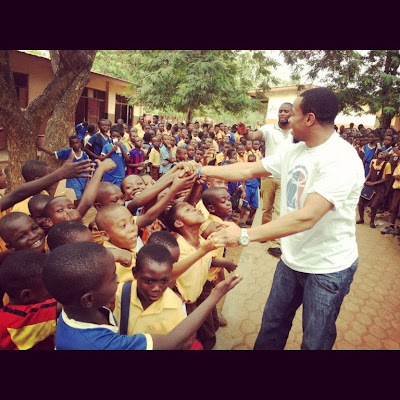 Roosevelt will also share stories of his 2012 trip to Ghana.